On the back of the Whisky Prof’s exploration of Sherry casks and flavour, requests came flooding in for similar scrutiny of the term ‘solera’. What does it mean and how does it work? Questions, questions... but only the Whisky Prof has the answers. I couldn’t help but notice at the end of your explanation on the influence of Sherry in whisky that you offered to explain what the term ‘solera’ means. I’ve seen it on several bottles of whisky, but am completely unsure what it refers to. Can I take you up on your kind and generous offer? How could I resist such a polite request? Indeed, you were not the only person to write in about this. The solera system is best known as being a method of maturing Sherry, but it, and the adaptation of its principles, are used by other drinks such as brandy, rum… and whisky. In fact, saying that it refers to the maturation of Sherry isn’t strictly accurate, because the solera system simultaneously combines maturation and blending. 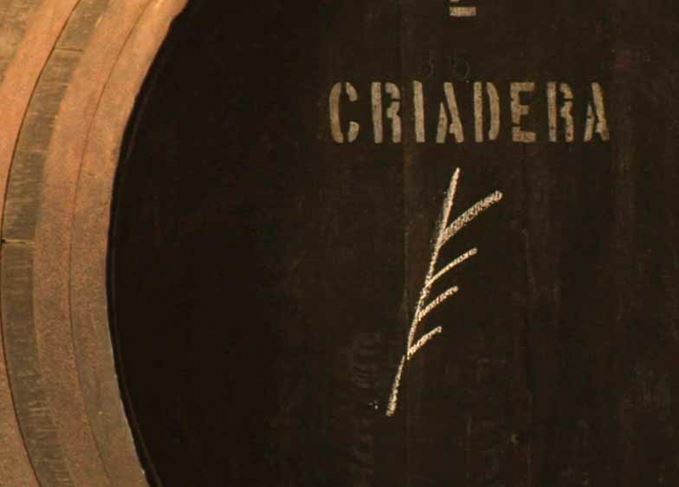 A Sherry solera is made up of horizontal ‘scales’ of casks. Each contains Sherry that has the same average age. When the producer decides to bottle the Sherry, he or she will withdraw the amount required from the scale with the oldest average age (the ‘solera’ itself). By law, no more than one-third from each can be removed at any one time. This obviously leaves less in the casks, so they are topped up with the same amount taken from all of the casks in the next oldest scale. This process continues all the way back down the solera, with the youngest scale being topped up with new wine. Because the casks are never emptied, there is always going to be a little of the original liquid retained, meaning that the Sherry taken from the final casks is effectively a blend of wines from many vintages. Also, while it may be logical to think that the new liquid will end up being the major player in terms of flavour, those older liquids help to build layers of complexity. The frequency of the moving of the Sherry from one scale to another has a significant impact on flavour. Finos will be moved quickly – the addition of the fresher Sherry helps to preserve the life of the flor which grows on the surface of the wine, helping to prevent oxidation as well as giving character. Amontillados are moved more slowly, allowing more depth and oxidation to take place; olorosos more slowly again. The most venerable old olorosos are moved infrequently. The same principle applies to Brandy de Jerez. Solera ageing is also used widely in South American rum. Even the old British Naval rums were blended in large, linked solera-style vats in Deptford, none of which were ever fully drained. This principle of fractional blending is also found in Scotch. Some firms that have a particularly old expression in their core range will retain remnants from the previous batches to encourage consistency. This makes sense as the longer a whisky is matured, the greater the variation is between casks. Even standard blends will often be bottled from tanks which have never been fully emptied. The retention of some of the previous batches again helps to iron out possible inconsistencies. It is believed that Johnnie Walker may have operated a solera-esque system in the late 19th and early 20th centuries, with component vats of whiskies of specific styles being maintained. These would then be blended to produce the firm’s various selections, and then topped up with whiskies of similar character. Today, the most widely seen solera-style whiskies come from William Grant & Sons. The firm’s first venture into this method was with Glenfiddich 15-year- old. When a new batch is required to be bottled, 50% of the whisky in the solera vat is removed. This is then topped up with the contents of two marrying tuns: one for Sherry-aged, the other for new oak, with another fraction coming from refill casks. It is interesting to compare the three component parts blended in the same ratio as goes into the solera vat with the whisky which comes out of it. The latter is considerably more harmonious, deeper and richer. The firm has now got three more solera vats for its Cask Collection series. Though expensive to maintain, could solera-aged Scotch be more widely seen? There is nothing to stop a distiller operating a classic Sherry-style solera, as long as the youngest whisky entering the system is a minimum of three years old. There also couldn’t be an age statement on the bottle. As a way to give consistency to no-age-statement whiskies and provide a talking point, it might be an avenue worth exploring – but that is not my area of expertise.